July | 2015 | Sonic Smash-Music! Indie singer-songwriter Ilene Angel has released her new duet, “Friends Like Me & You,” with internationally acclaimed soft-rock legend Kenny Loggins. The track is the flagship single from Angel’s upcoming LP record, “In Color,” due out in fall, 2015. It has been proudly published on the Grownup Records independent record label. 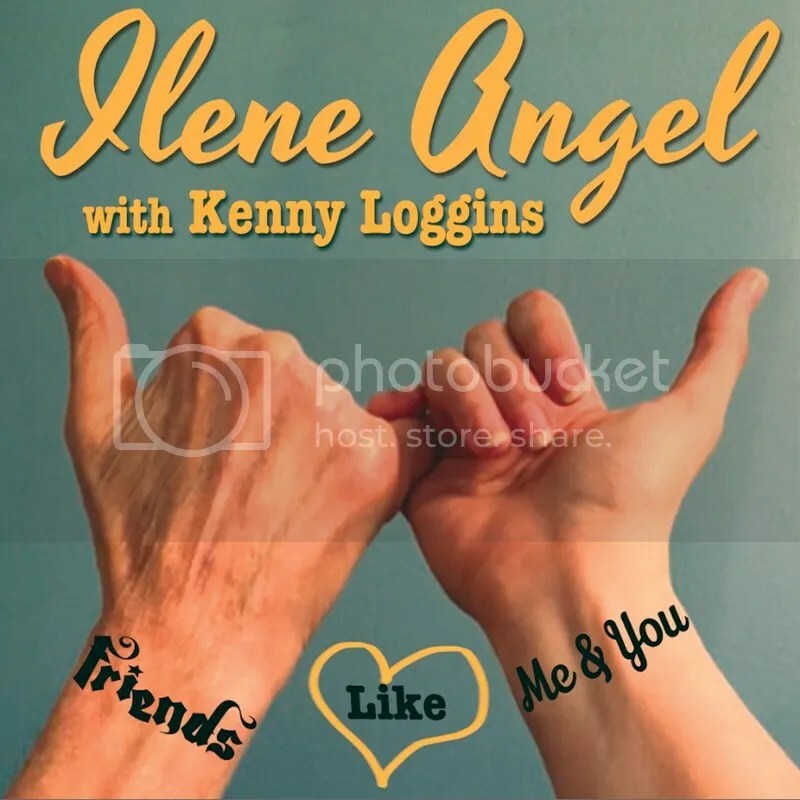 Uplifting, patently heartfelt and positively shining with humanity, “Friends Like Me & You” is an endearing, no-frills instant classic from the top-shelf talents of Ilene Angel and Kenny Loggins. New York’s Ilene Angel cites as favorite influences Carole King, Barbra Streisand, Billy Joel, James Taylor and Harry Chapin. Audiophiles will hear similarities to these in Angel’s songwriting, foremost in that her songs are not cluttered with extraneous verses, bridges or refrains, but rather have a distilled purity which exalts the character of each track. Her albums play out like a social event this way, with the listener meeting first one song and then another, each having its own mood, tone and theme, as well as Angel’s unassumingly impeccable singing style. It is partially Ilene Angel’s pared-down manner of singing and songwriting which underscores this elegant, surprise performance of perennial rock favorite Kenny Loggins. The track isn’t gaudy – piano, bass, drums and some strings, none of which intrude on the vocal interplay which is clearly the song’s beating heart – and at three minutes flat, it’s over by the time the listener is in love with it. ‘Play’ is pressed again. There’s also a core goodness to “Friends Like Me & You” which belongs to the lyrics, themselves. This is a palpable, a-priori feeling of warmth which emanates from the words and the people singing them. Kenny Loggins shares a kinship with the indie artist from the East Coast, too. Having become acquainted during a collaboration for the Huffington Post, the duo began trading songs over the Internet and in time found themselves bonded as writers, performers, artists and simply people. Truly, there’s something about “Friends Like Me & You” that elucidates Loggins’ musical personality in a way perhaps none of his repertoire has to date. He joins Angel with a natural, carefree earnestness in his tenor which reaches the ear like an outstretched hand, a hand offered in happy greeting and maybe to lift the listener up. Ilene Angel herself is a multifaceted artist who has performed at venues ranging from nightclubs to television shows, and who has appeared both onstage at Carnegie Hall and at the top of Billboard’s music charts. She penned her first pop song at the age of nine, long before she would graduate from Northwestern U. and go on to New York’s famous Juilliard music conservatory. Ilene Angel is the co-author of No.1 Radio Disney single, “I Don’t Think About It,” recorded by Emily Osment of Disney’s popular Hannah Montana program, as well as “We All Fall Down,” the songwriting competition winner for the Global Voices for Change organization. The feature duet from Ilene Angel and Kenny Loggins, “Friends Like Me & You,” is available online worldwide beginning 17 August 2015. Her new LP record album on which it appears, “In Color,” arrives at online music stores fall of 2015. It is available for pre-order from her official website now (link provided below). The “In Color” LP by Ilene Angel was produced by Tanya Leah. Fans of great songwriting, sincere vocal performances, and the preciousness of friendship should get in early. Very early. The guitarist, singer and songwriter known internationally as Erik-Y has released his latest pop single, “Welcome.” The track has been proudly published under the E&G independent music label without the involvement of the corporate music industry. It is the debut official release from Erik-Y and the E&G label. Heartfelt, gorgeously written and impeccably well-performed, “Welcome” is a flagship release which stands as proof that Erik-Y is one of Europe’s most expert and intriguing independent songwriters today. Erik-Y cites as main artistic influences a wide variety of the most creative minds ever to take the stage. Of these, the artists who seem to have the most in common with his new single, “Welcome,” are Dream Theater, Depeche Mode, and Radiohead, though he makes mention also of such disparate musicians as Queen, Eminem, David Guetta, the Red Hot Chili Peppers, and many more. Erik-Y is a native of the Netherlands. He began his musical journey as a lyricist, writing poetry at the age of only eight. He began learning guitar from his father soon afterward. His classical training on the guitar began at 15. This led him to play in a smorgasbord of bands, during which period he performed live on a great many stages and learned to compose his own songs. He learned bass guitar, also, and practiced vocal lessons. Soon he had accumulated his own repertoire of studio recordings. Erik-Y became a front man for many bands. Never afraid to explore new musical horizons, Erik-Y became an entrepreneurial DJ and performed both nationally and internationally. He learned to book and organize shows and tour dates. Several record companies approached him about his original songs. In 2008, Erik-Y founded his own music school (link provided below). In 2014 he began Erik Stars Entertainment, a booking agency for novice musicians. Now, in 2015, he has reached the culminating moment of his career – the start of his own independent record label, E&G. Erik-Y also intends to release the music of other independent musicians under his own E&G music label. “Welcome” (the Birthsong) by Erik-Y is available online worldwide beginning 1 August 2015 from E&G Records. The titan of guitar known worldwide as Paul Brett has released a new full-length album, “12 String Instrumental Power.” Like the rest of his recent material, the track has been released on the Viral Discs and Downloads indie music label. It comes on the heels of his popular “12 String Blues Power” LP which has been turning heads in fan and critical circles over the last month. Showcasing the consummate skills of this master guitarist – one of the best players the world has known – “12 String Instrumental Power” is at once a must-have album for fans of guitar, of classical music, and of perfect music in general. Paul Brett’s new record is a robust collection, 30 songs for a total listening time of nearly 80 minutes, making for a splendid overlook of the virtuoso’s repertoire. An arresting album regardless, it also happens to represent a monumental occurrence in music history. Paul Brett’s “12 String Instrumental Power” includes two complete, original suites: “Earth Birth,” the world’s first suite written for 12-string guitar, and “Gryphon Suite for High 12 String,” the first written for the high 12-string guitar. This creative universe includes a dazzling array of textures, tones and styles, all of which orbit the 12-string guitar thrumming at their center but stand out with their own remarkable individuality. There are songs composed in the medieval style, songs which would fit in perfectly on a classic-rock record, songs writ in the spirit of the Irish tradition, classically minded songs, folk compositions, a shadowy Spanish composition, a startling 37-second jam session, and even an impression of “Carmina Burana” by Carl Orff which must be heard to be understood. Regarding the two suites Brett has composed for the 12 string on this new LP, “Earth Birth” is technically a classical-guitar suite, but its strong overtones of folk music easily win out over the ‘classical’ denomination. This unique flavor blends English and Irish guitar traditions with the folk music of the 1960s and early ’70s for a powerful little collection which will nestle comfortably between classic rock and folk albums and classical guitar compilations alike. Contrasting pleasantly with Paul Brett’s “Earth Birth” is the somewhat more complex “Gryphon Suite for High 12 String,” which stands (dances) on its medieval British and Irish foundations and sculpts new sonic forms from them in ways which are utterly unpredictable, yet inexplicably familiar at the same time. The music fan gets the distinct impression that Brett isn’t so much inventing music as he is revealing songs which have existed for centuries, in the aether perhaps, to the world for the first time. Still, at the end of the day “12 String Instrumental Power” is a Paul Brett record, and as such, most of these tracks defy categorization altogether. 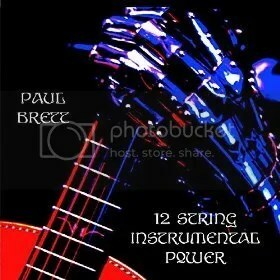 “12 String Instrumental Power” by Paul Brett is available online everywhere now. Get in early, guitar aficionados and true audiophiles. This is music in its absolute purest form. Paul Brett’s music has dipped into many different genres over the years, particularly those most associated with the classic rock groups of the late 1960s and ’70s. 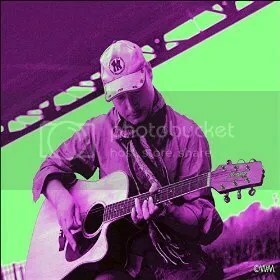 He has notably played the blues, folk, rock, psychedelic, and acoustic music, and is also an avid fan of classical. Having been globally recognized as one of the top 12-string guitarists for over four decades, Brett’s musical resume borders on the unbelievable. As a session player in high demand, Paul Brett has performed, written and/or recorded with such legends as the Strawbs, the Overlanders, the Crazy World of Arthur Brown, Elmer Gantry’s Velvet Opera, the Velvet Opera, Tintern Abbey, Fire, Roy Harper, Al Stewart, Lonnie Donegan, Tom Newman (“Tubular Bells”), Mott the Hoople, Motorhead, Mungo Jerry, Manfred Mann, the Savoy Brown Blues Band, John Mayall, Rod Stewart & the Faces, Quintessence, Keith Ralph (Yardbirds), Jimmy James & the Vagabonds, Steve Holley (Wings), Andrew Lloyd Webber, Julian Lloyd Webber, Jimi Hendrix, John Renbourn, the Who, Van der Graaf Generator, Motorhead, Paul Brett Sage – and quite literally scores of other world-famous musicians not here listed – as well as simply in his own right as Paul Brett. He has his own range of signature guitars distributed worldwide by Vintage Guitars and has written as a music journalist for Melody Maker, NME, Sound International and International Musician. He is the resident expert on vintage acoustic guitars for the UK’s Acoustic Magazine, and currently operates as festival director for the Llyn Acoustic Guitar Festival in North Wales. Paul Brett’s most recent endeavors find him piloting a record label with Tom Newman, co-founder of Virgin Records and producer of Mike Oldfield’s seminal platinum album, “Tubular Bells.” Together they are undertaking several projects in the educational arena, including the recording of classic albums played by schoolchildren. Their popular “Tubular Bells” rendition as performed by the Children of Ireland appeared on digital shelves worldwide in 2013 and has been turning heads ever since. “12 String Blues Power” by Paul Brett is available online worldwide beginning 20 June 2015. 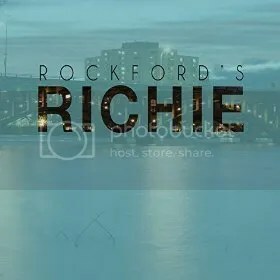 The rapper, songwriter and producer known as Richie Carter has released his debut EP record, “Rockford’s Richie.” The EP contains five original Carter tracks for an approximate total listening time of 15 minutes. It has been proudly published as an independent release outside the influence of the corporate music industry. Nuanced, varied, colorfully creative and exceptionally written and performed, “Rockford’s Richie” is a clear standout for one of the premier indie rap releases of the summer and a striking introduction to this talented rapper from Illinois. His own sound is crisp, direct, punchy and full of top-notch urban poetry. His themes are often positive, his tones aggressive, his musical accompaniment infectious and incredibly well-orchestrated. His raps are always the main event of his music regardless of the high quality of his beats and melody lines. His razor-sharp articulation makes his music accessible to fans of all genres of hip hop and of music in general. None of this comes as a surprise when taking into consideration Richie Carter’s status as a veteran rap artist. True, this is not a rare story in the new era of affordable digital audio workshops and home-studio recordings. The rarity lies in Richie Carter’s natural talent, which has strengths spreading from musical composition to the penning of excellent lyrics, to the flawless delivery of said lyrics and to a seemingly bone-deep understanding of flow which keeps his powerful little EP album moving like a perpetual motion machine from track to track, and from repeat play to repeat play. The EP can be enjoyably listened to several times running without becoming tired. This kind of uplifting rhetoric is part of what has helped Richie Carter build a loyal, enthusiastic throng of fans that is quickly growing beyond the Rockford area (which is just two hours from another hip-hop Mecca: Chicago). They clamor to pat him on the back on social media and actively implore him for upcoming performance dates. Carter responds to them all with warmth and humble gratitude. Richie Carter was born Erich Kalstrom and is a native of Rockford, IL. He most recently opened for Bubba Sparxxx from Troup County, GA and has performed in a great many locales in the Chicago area as well as at premier festivals including the SXSW concert in Texas. “Rockford’s Richie,” the debut EP release from Richie Carter, is available online worldwide beginning 20 July 2015. Get in early, fans of hip hop everywhere. Very early. The Taiwanese music label known as Dark Paradise Records has released their new flagship compilation album, “F1 – Philosopher’s Stone.” The album is a gigantic collaboration which brings together the work of no fewer than 21 different artists to make one of the most remarkable electronica records ever produced in Asia or anywhere else in the world. It has been proudly published on the Dark Paradise Records independent music label based in the capital city of Taipei. Kaleidoscopic, futuristic and innovative, in turns both soft and upbeat, shadowy and brightly colored, “F1 – Philosopher’s Stone” from Dark Paradise Records is likely to be remembered as the premier electronica release of 2015. With “F1 – Philosopher’s Stone,” Dark Paradise Records aimed higher than perhaps any purveyor of electronica music has attempted to do in over a decade. Their new LP compilation contains nearly 90 minutes of music, each track as excellent as the last. Its production value couldn’t be higher, with performances uniformly shining and flawless, its studio engineering more expertly dialed-in than many of the most popular mainstream tracks available to listeners today. It serves as an arresting introduction to over 20 marvelous artists and a shocking wake-up call to music fans not yet aware of this powerhouse record company from the Far East. “F1 – Philosopher’s Stone” from Dark Paradise includes music from the following artists (in order of appearance): Fish in the Sky, Conehead, Sonic Deadhorse, Dipper Chen, Lupa, KbN, Pro. 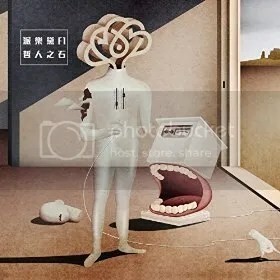 Found, Lazybody, Iron House, Neoteny, Partimer, Yellow Morning, Jade Eyes, Inn, Jill Stark, ATW Girl, Orientone, Fragrance Liang, and Meng-Ting Hsieh, and also features appearances by Aristophanes and Zack Kao. Their new “F1 – Philosopher’s Stone” compilation has an innumerable array of qualities. These include sparkling facets of controllerism, glitch-step, fusions of traditional Oriental and Western electronic styles, electronic rock, downtempo, ethereal vocals, psychedelia, synth-pop, fragmented time signatures, ambient composition, experimental hip hop, environmental recording and sampling, bass-driven sound design, tribal atmospherics, electro/acoustic composition, modern alternative techno, and much, much more. That this album has something for every fan of electronica and digital music is obvious. That Dark Paradise have made so much goodness available in a single record is astounding. That true audiophiles owe it to themselves to hear this staggering achievement of a album is absolutely clear. “F1 – Philosopher’s Stone” by Dark Paradise Records is available online worldwide beginning 21 July 2015. Get in early, music fans. Very early. The rapper and producer of hip hop known as Illy Givenchii (often stylized illy Givenchii) has released his newest official single, “I.F.W.Y.” The track has been proudly published on the Platinum City Music Group independent music label without the support or influence of the corporate music industry. 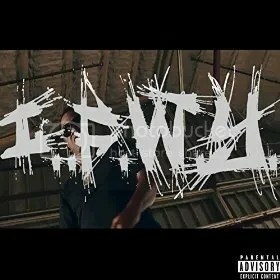 With this blend of old-school, hip-hop principles and cutting-edge beats and studio production, constructed around the performance of one of Texas’s most prominent up and coming rap artists, “I.F.W.Y.” is a hip-hop track that’s got a clutch of swagger and a metric ton of style. Illy Givenchii cites as his key personal influences such popular artists as Lil’ Wayne, J Cole, Drake, Jay Z, Kanye West, and perhaps chiefly of all, his own musical inclinations. His new single showcases him as an urban poet of the American South with a flair for commanding the mic by means of his aggressive vocal delivery, back beats built on the basic power of boom-bap, and bass lines like concentrated thunder from the center of the Earth. Illy Givenchii started to take hip hop seriously after friends and acquaintances gave him more positive encouragement than he could ignore. “I.F.W.Y.” by Illy Givenchii is available online worldwide beginning 24 July 2015. 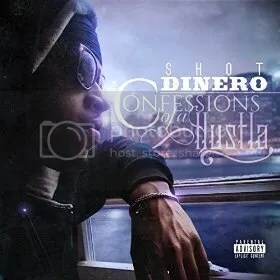 The rapper and songwriter known as Shot Dinero has released his latest LP record, “Confessions of a Hustla.” The full-length album consists of 14 original Shot Dinero tracks for an approximate total listening time of 45 minutes. Like other popular releases from Shot Dinero, it has been proudly published on the Browns Town Music LLC independent record label without the influence of the corporate music industry. Aggressive and explosive, packed with booming bass, old-school beats and cutting-edge instrumentation alike, “Confessions of a Hustla” is the latest reason music fans have to pay attention to this veteran hip-hop artist and top-notch hip-hop label. Shot Dinero cites as personal hip-hop influences the Notorious B.I.G., Tupac Shakur, Bob Marley, Jay Z, and 50 Cent. His own sound is largely based on the style of writing and delivery which cropped up as a result of the 1990s golden era of rap music, but also on the rap tradition which developed in his hometown of Philadelphia and in his longtime base of operations, Brooklyn, NYC. Shot Dinero (also called El Presidente or simply ‘Dinero’) found himself enthralled by beats before leaving North Philadelphia for Brooklyn. His music is populated with non-fiction tales of his own gritty experiences in the drug trade of the East Coast. As he grew older, music and poetry became his focal points, and he began to explore other sounds. Himself being of Dominican descent, Shot Dinero found deep passions for hip hop, R ‘n’ B, reggae and also reggaeton. That music by Shot Dinero is true to life is also clear. Fans of such artists as Biggie Smalls, Jay Z, Mobb Deep, Nas, Jadakiss, Tego Calderon and the like are certain to be enthusiastic about this fresh, flagship release from Shot Dinero. Dinero has been signed to Browns Town Music LLC since 2011, under which umbrella other such heavy-hitting artists as MAJ, George Pettus, Tje Austin and many more have found a home. “Confessions of a Hustla” by Shot Dinero is available online worldwide beginning 18 July 2015. Rap fans should get in early.